Recently discovered and still largely unknown, Kazumura Cave on the Big Island of Hawai’i isn’t just the longest lava tube in the world – it’s also a unique national treasure of both geological and cultural significance. In 1994, Kazumura Cave was 47 kilometres long. A year later, its length increased by 18 kilometres, and yet this lava tube on the Big Island of Hawai’i hasn’t grown an inch for centuries. 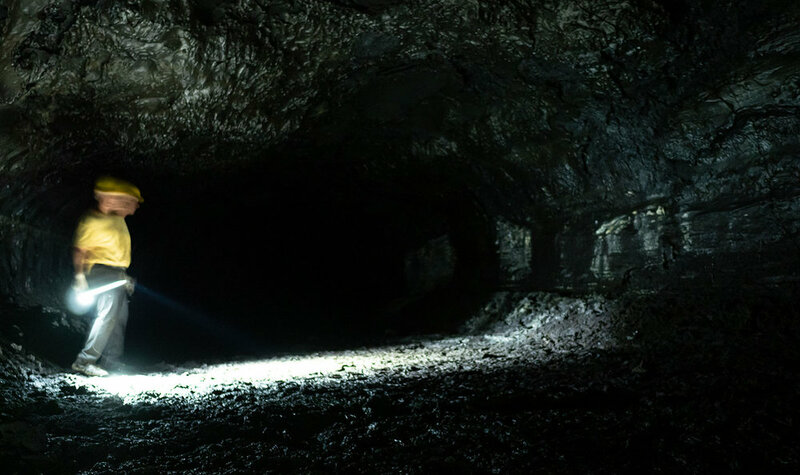 This isn’t a riddle, but the reality of mapping the longest lava tube in the world. When the first attempts to map the cave were carried out decades ago, it was obvious it was the longest in the world – no other lava tube came close. But they couldn’t tell quite to what extent. 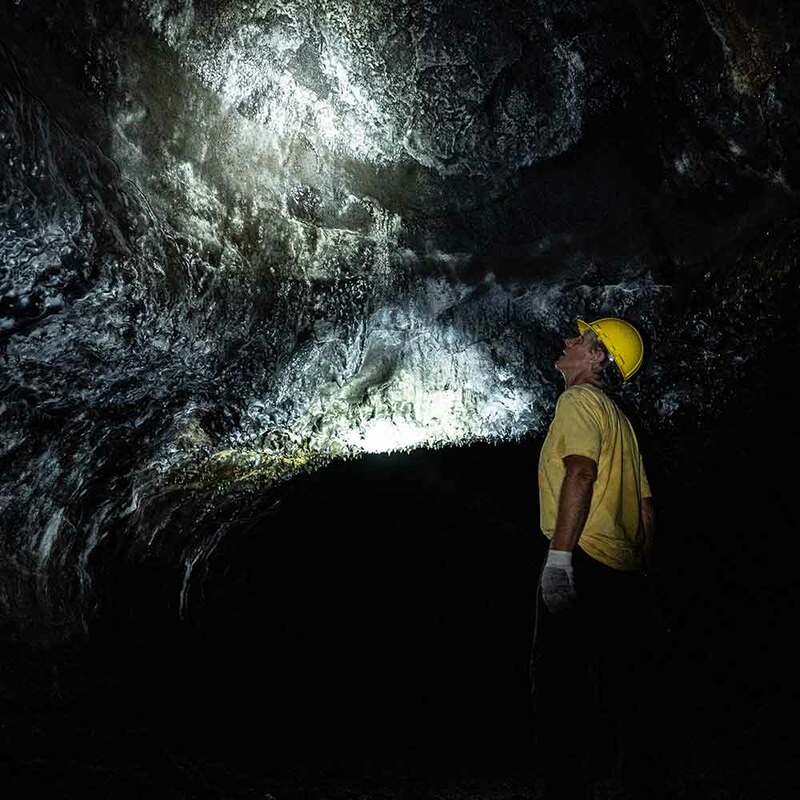 It wasn’t until 1995, when cavers on a two-day expedition discovered connections to four previously independent lava tubes that Kazumura Cave was fully mapped out in all its glory ­– a 65-kilometre-long corridor of basalt. Yet still, rarely more than 15 metres below the surface, the lava tube remains relatively unknown. Even some locals, many of whom own the land above the tube, aren’t aware it goes all the way from Kīlauea’s east rift zone to the coast in lower Puna. Kazumura Cave was created during the Aila’au eruption, estimated to have taken place between 1410 and 1470, although oral Hawaiian accounts date the event two centuries later, to the 1600s. In geological terms, the difference is moot: both dates are mere moments ago. Lava tubes are self-forming entities, created when the top layer of a lava flow is cooled by surface air, forming a protective crust and insulating the hot lava below as it continues its course downslope. When the magma chamber drains its reserves and the flow stops at the end of an eruption, a hollow tube remains as an exoskeleton of the lava flow, frozen in time. That’s the scientific explanation. According to native Hawaiian folklore, Kazumura Cave was created by the goddess of volcanoes, Pele, in an act of simultaneous creation and destruction. This makes the lava tube – at least mythologically – woman-made, rather than man-made. For Steve Krucker, a guide with Kilauea Caverns of Fire, a company running tours at the complex, it’s this creative component that makes Kazumura Cave and other lava tubes so special: ‘Unlike regular caves, which are the result of centuries of erosion and dissolution, lava tubes are forged in one creative act – like a work of art,’ he says. Not only is Pele credited with creating this lava tube, but her productive output includes all lava tubes in the archipelago. She’s behind every eruption, too. The smooth walls of Kazumura Cave were forged as rivers of lava carved their way downslope to the coast. Lava tubes are one of the reasons why the Big Island is so, well, big. With an insulating roof overhead, heat loss inside a lava tube is minimal (about 1°C per kilometre), allowing the hot pāhoehoe (smooth, ropey) lava below to not only flow unimpeded, but also to travel vast distances – even all the way to the coast – eventually forming new land as it oozes into the Pacific Ocean. Without lava tubes, Hawaiʻi’s shield volcanoes would be much steeper, and, as a result, the island’s size much smaller. The characteristics of the local lava is also a factor in the Big Island’s size. With temperatures as high as 1,185°C, Hawaiian magma is among the hottest on Earth. The archipelago is located on a hot spot, after all, estimated to be about 80 kilometres in diameter. The heat of the magma, coupled with its chemical composition and gas content, make Hawaiian pāhoehoe lava extremely fluid when it erupts, capable of travelling for dozens of miles before hardening into basalt. But Kazumura Cave isn’t just impressive in length. Some sections of this multi-level lava tube are 21 metres wide and 18 metres high. These canyon-like dimensions, along with the tube’s smooth, sinuous walls – carved through a process of thermal erosion as rivers of lava meandered downslope to the coast, melting rock into shape like a knife through butter – make parts of Kazumura Cave resemble a subway tunnel, to Hell: travel upslope, and you’ll find yourself smack-bang inside a magma chamber. A tour of Kazumura Cave is also an education in volcanology. 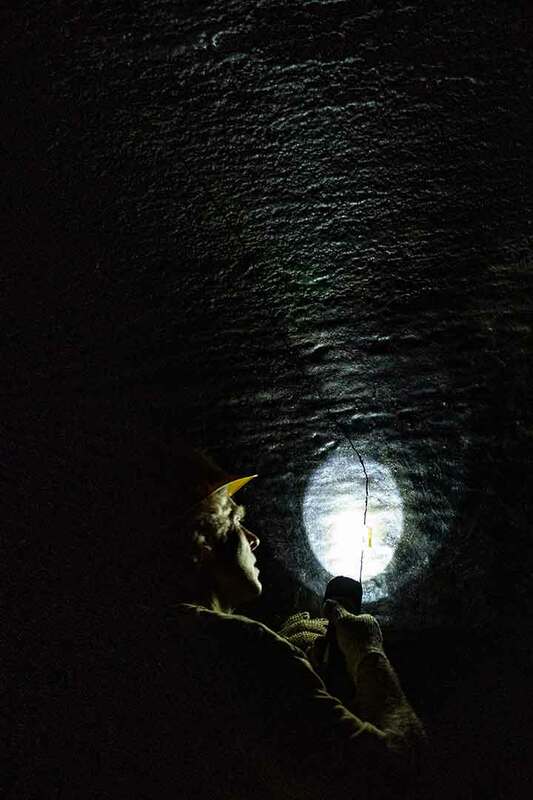 Descend into the shadowy depths of the tube through one of the 101 access points, and you’ll soon find yourself in what geologists call a master lava tube. Nearly every type of feature found in any lava tube, anywhere, can be found here. When lava drained from the tube, the residual molten rock on the ceiling dripped, ran and pealed to form weirdly-shaped lava formations. Some of these features are incredibly rare, such as lavacicles and dripple spires: tubular stalactites of basalt that hang from the ceiling, some resembling shark’s teeth. A periodic table’s worth of elements, thrown up from the Earth’s core, also paints the cave in amazing colors: white gypsum, silvery magnesioferrite and green olivine all adorn the walls in patches. Other volcanic artefacts inside the cave include the spectacular remains of ancient lava falls, a solidified lava pond and cupolas: shallow domes that are the partly collapsed remains of the roof. More than 100 entrances in the lush jungle of the Big Island lead to the Kazumura Lava Tube. Lava tubes on Hawai’i are some of the island’s most valuable, and vulnerable, natural treasures. But their incredibly fragile ecosystems remain under threat as curious adventure seekers and spelunkers head underground without guidance or care: a single wrong step can permanently disfigure a cave. 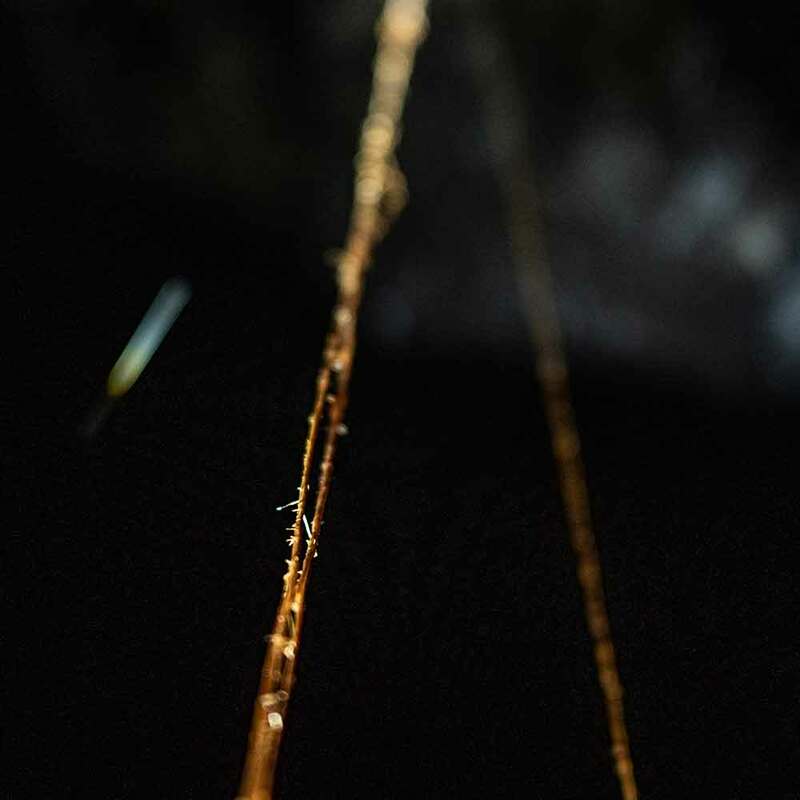 Even the tree roots dangling from the ceiling are the basis of a sensitive subterranean ecosystem that includes spiders, crickets and millipedes. 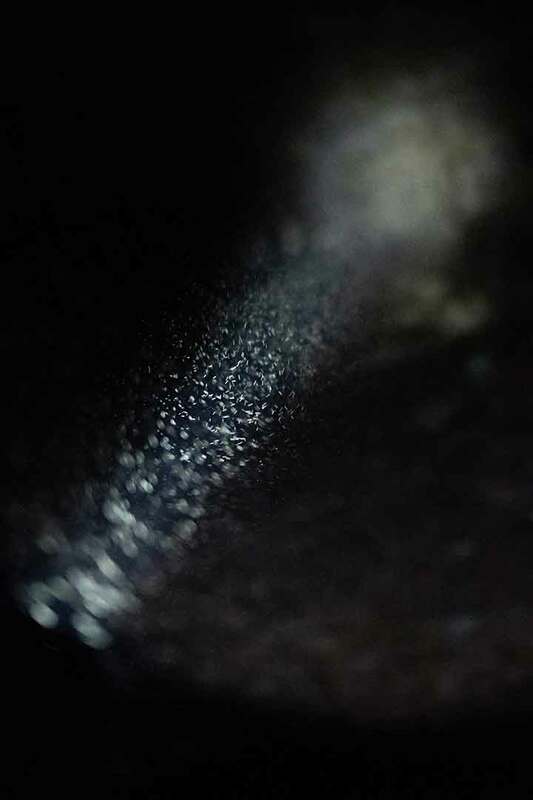 Some of these troglofauna, all adapted to thrive in this dark environment, are unique to Kazumura Cave, such as the Schrankia howarthi, a previously unknown species of moth discovered here in the 1970s by Hawaiian biospeleology pioneer, Francis Howarth. After an eruption, it can take years for a lava tube to support life. Culturally, lava tubes are a sensitive matter, too. For centuries, native Hawaiians have buried their dead inside lava tubes, repurposing these volcanic cavities into burial chambers. In Hawaiian culture, lava tubes are kapu, sacred sites which shouldn’t be disturbed: it is believed an individual’s mana, or life energy – an important spiritual component of Hawaiian belief – remains in their bones, long after they’ve passed away. And yet, the theft of archaeological artifacts and the desecration of Hawaiian caves and lava tubes has been, and remains, a big problem. For these reasons and more, Kazumura Cave should only be entered with a guide on an organised tour. But if you’re looking for an amazing natural wonder, one that literally shaped the island and its people, there’s no better way to get inside this place’s history. Make it happen: Kilauea Caverns of Fire offers three different experiences: A $29 (per person) one-hour walking tour, an $89 three-hour adventure tour, and a $279 ‘day in the cave’ by reservation.